Last Friday morning I left my children with my husband and jumped in the car with a friend to drive to a larger city nearby for a girls’ day. We were excited to seek out all the best super markets in hopes of finding chocolate chips, brown sugar, nice cuts of meat, and boxed macaroni and cheese. We even took our own thermal bags to keep things cool for the long drive home. Since we live in Iraq, these little quarterly getaways provide a chance to stock up on the things our families enjoy most. We are the hunter-gatherers for our families, going out on long expeditions into the unknown, hoping to bring back something exciting. As we passed through the military checkpoint on the outer edges of our city, there was a different feel to the road. The further we got away from our city, the stranger things appeared. We began to see entire families walking along the road with huge rice sacks filled with clothes and rolled up foam mattresses. Children walked in their pajamas, hand-in-hand with their parents. We speculated as to what could be going on, but sadly, in Iraq these days, it’s not uncommon to see people displaced by ISIS or sectarian militias. But these families were not in camps and they were not just out in the city trying to find work before returning to their make-shift shelters. There were overwhelming amounts of families lining the roads—newly displaced. After driving through a few small villages, we passed through another large checkpoint. The road ahead was blocked on both sides with cars piling up in both directions. Huge barriers had been placed across the road to prevent the cars from moving forward. I rolled down my window and asked the soldier patrolling the check point what was going on. There was fighting ahead, he told us. We would have to turn around and journey back home. I was shocked by the news and immediately called my husband and other friends with contacts in that city. Preemptive Love Coalition, the organization I helped found years ago with my husband and the friend beside me, had planned to distribute wheelchairs, heaters, blankets, and coats to those persecuted, orphaned, and displaced by violence in that city. Once the news began trickling in, I heard there had been a three-pronged attack by the terror group ISIS and the city was rumored to be completely under the control of the terrorists. A suicide bomb had apparently gone off and ISIS snipers were attacking from the top of The Palace, a hotel that served as the highest point in the city. I realized the families on the side of the road beside us had fled their homes with whatever they could carry in hopes of just surviving the day. I was a ball of emotions—angry, sad, scared, and trying to figure out how to help. As we passed by families on the side of the road, I was struck by how the mothers were caring for their families, despite the terrible circumstances. Already they were buying fish from roadside stands and sitting down to campfires on the shoulder for a lunch picnic. Moms were opening packages of chips and wiping faces and tying shoes. Despite the trauma of the morning, they were doing their best for their families. I felt so proud of them, these resilient women among whom I live. They were vulnerable, but totally inspiring to me. In a way, they didn’t even need my help; they just needed the fighting to stop so they could go back home. For forty-five minutes we drove beside families who had been displaced by violence, as we retraced the road back home, praying for the city and the families. We also prayed for the soldiers, ISIS, Iraqi, Kurdish, and coalition. We went back and forth in the car trying to decide if we should continue our plan for the day or go home. In the end, we decided on a different route and continued to the provincial capital for a day of foraging. 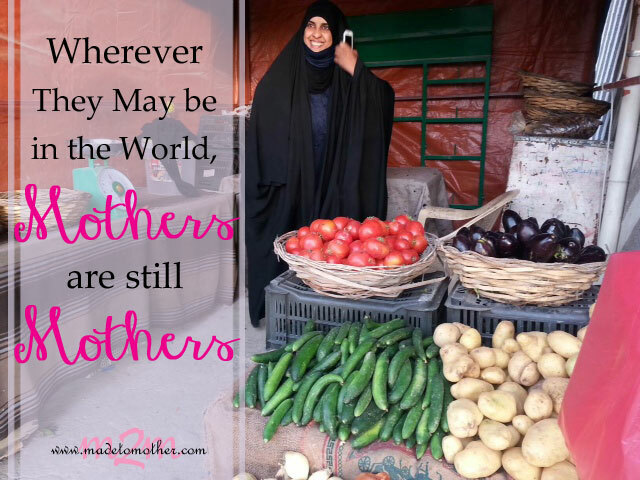 As I consider what it means to be ‘made to mother,’ I’m reminded of our displaced friend, Madeeha. An unrelenting woman, Madeeha moved to Baghdad to provide for her five nieces and nephews after losing her mother and brother to ISIS-related violence. She lost an arm during the fighting, but she doesn’t even let that hold her back . Driven from their village home, Madeeha now lives in a bustling big city working at the vegetable stand she opened with a $70.00 loan. This month, we are partnering with her on a $750.00 women’s empowerment grant to help expand her store so she can increase her profits and care for her family and her community. We have no doubt that she will succeed! There are countless stories like that here in Iraq. They remind me every day how women are holding this country together. Because, like women everywhere and throughout history, no matter our circumstances, we can shoulder any burden for the sake of protecting, providing and caring for our families. 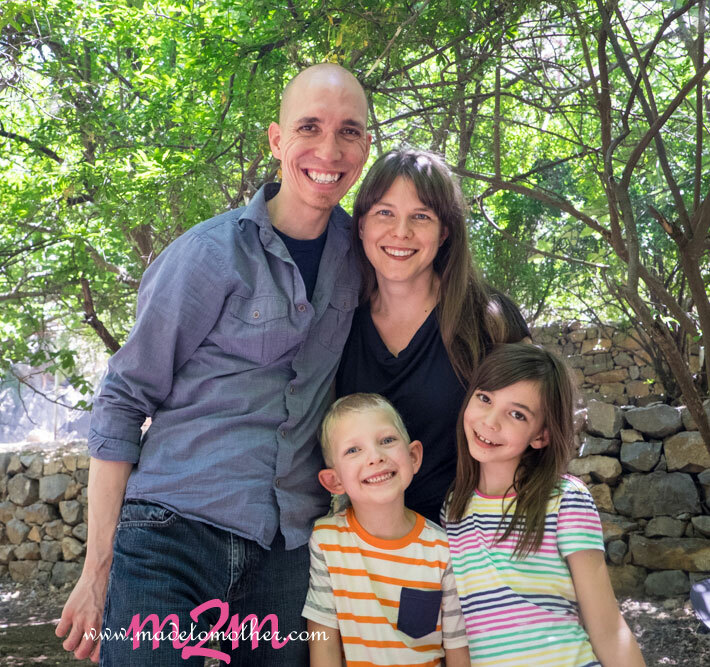 Jessica Courtney is the founder of Preemptive Love Coalition, an international development organization working to remake the world by pursuing peace among communities in conflict. She lives in Iraq with her husband, Jeremy, and their children. Wow! Living in America, it is so easy to not even realize the daily challenges others in countries, such as Iraq, face. I hear news stories about ISIS on TV, but it is only about the violence. What encouragement you have shared here! Thank you for doing all you do to help through your organization! Wow. What experience you have there. I agree with Ann. We see it on the news almost daily, the violence and the fighting, but your account places a different perspective on what’s going on in the middle east. It’s an eye-opening experience to see mothers–like the ones you encountered–assume their roles despite what’s going on around them. Their perseverance and strength is resounding, and I’m so glad you shared this story with us. It leaves me thinking there is hope yet. Thank you for such an inspiring and encouraging story. Wow… what a sobering.. yet hopeful… post. Thank you for the glimpse into your world… and a world of suffering where mothers are still mothers…. no matter what. We have so much to be thankful for. Though situations and circumstances can be so different, it’s beautiful to see how universal the language of mothering can be. Moms who step up and care for their children. Thank you for this look beyond ourselves. And for linking at Small Wonders. Thank you for the awareness of life outside my comfortable little city here in the USA. I was blessed to hear you and your husband speak at Allume in October and of the ministry that you founded. I am praying for you and your family and for all in this time of unrest, uncertainty and unknowing of what the next day my bring. Blessed by these words and your heart for reaching in and reaching far in Iraq. Jessica, thanks for sharing this. As we approach the 3 yr anniversary of Jeremiah’s death, we’re launching a Stateside non-profit to raise funds for organizations doing the heavy work on the ground there in Iraq. PLC is on our list! We’ll be doing talks at churches and organizations around the US. Next time Jeremy is in the States (esp. if he gets near the Pacific Northwest) we’d like to connect. Any materials we could get to distribute would be great!! Hi Dan! I am also in the PNW (Portland, to be specific). 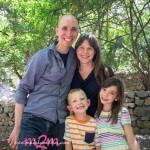 I met Jeremy and Jessica at Allume last fall and was overjoyed that Jessica agreed to write for my blog. I would love to offer my little platform for your organization in this effort as well, if you are interested. Please email me at wynterkaiser@gmail.com and we can talk more! Sometimes I think we forget the tragedy that others are suffering, and how strong they are. We tend to live in our own world, but people like these are truly inspiring to others. Thank you so much for showing us a window into another world. This is a moving post and i do think we forget about these families. Thank you for what you are doing! Thanks for sharing with the Thursday Blog Hop! Hope you can visit me http://www.over50feeling40.com. Have a great weekend! What an amazing story. It makes me think of things that we take for granted, like a quick trip to the store. Thank you for sharing this on the #SHINEBlogHop! This is an amazing story. Thanks so much for sharing this with all of our Let’s Get Real readers. Mothers protecting their young………….It is so fascinating to me how we are more alike than we are different. Thank you for sharing and I ditto what others have commented. After reading this, it so puts into perspective that my not so great day really is not that bad at all. May God bless. Wow, what a story!! And what a mission! God bless you for the incredible work you’re doing over there, and sending these stories that show us a perspective we would never otherwise have! Thank you!! Wow. That’s crazy. I can’t even imagine. What an amazing story! I couldn’t even imagine that – she is a very strong woman.